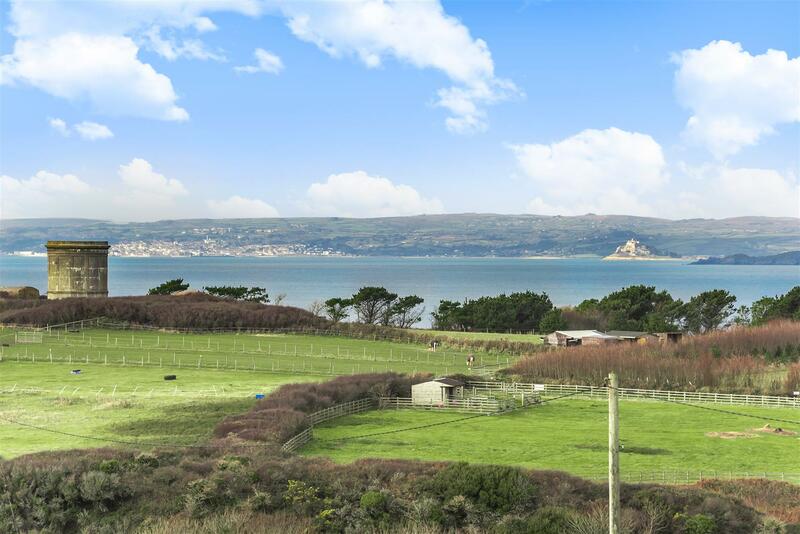 Situated in the most spectacular location, just above Mullion Cove, this exceptionally flexible 5 bedroom property enjoys an amazing position that takes in sea views right the way along Mounts Bay, toward St Michaels Mount in the distance. 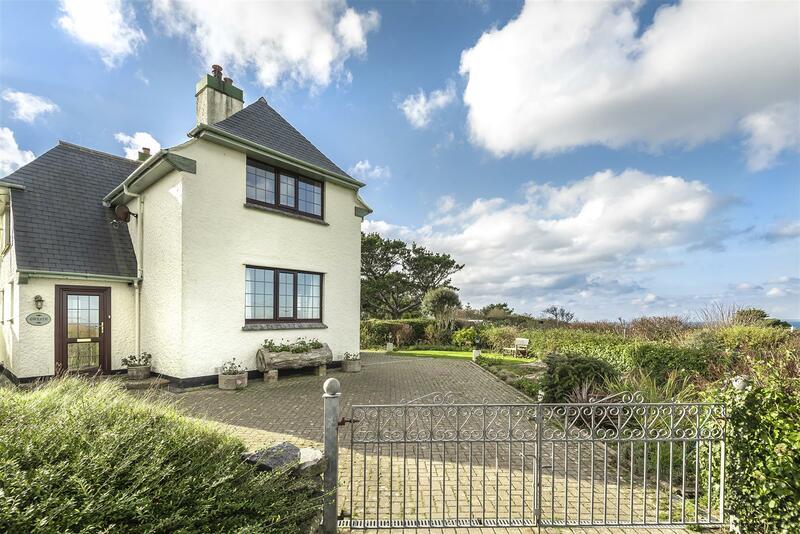 Gweath is perfect for anyone wanting a relaxing home with income, or looking for a complete change in lifestyle. 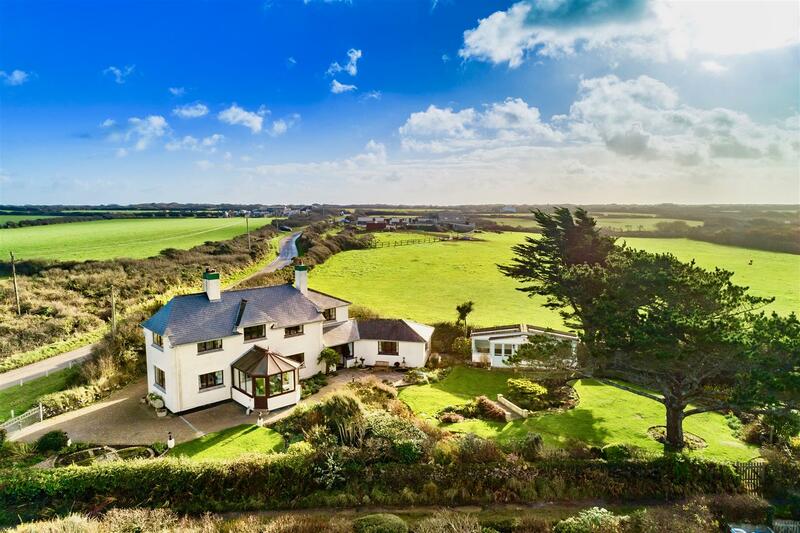 It's 5 bedroom layout has the ability to offer either a 3 bed house & 2 bed self contained annexe or a more straightforward 5 bedroom single residence. 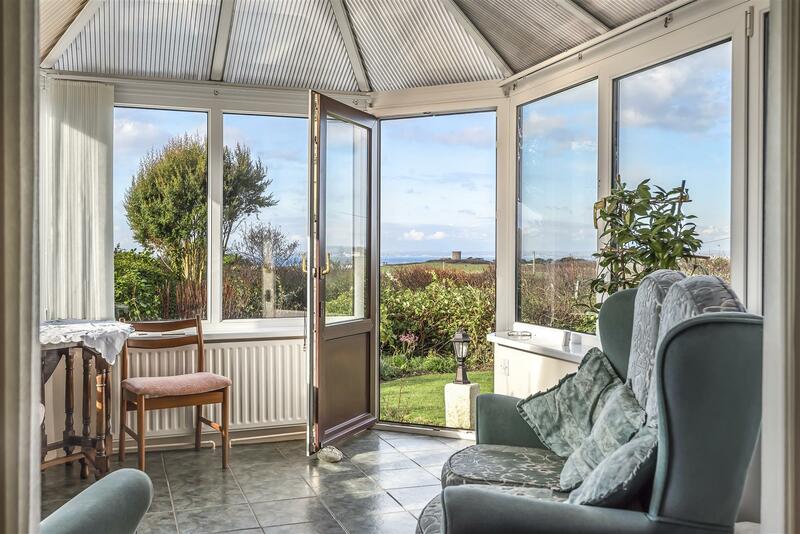 The main house features wonderful views in most rooms and especially from the conservatory off the dining room, providing the most amazing backdrop for meals. 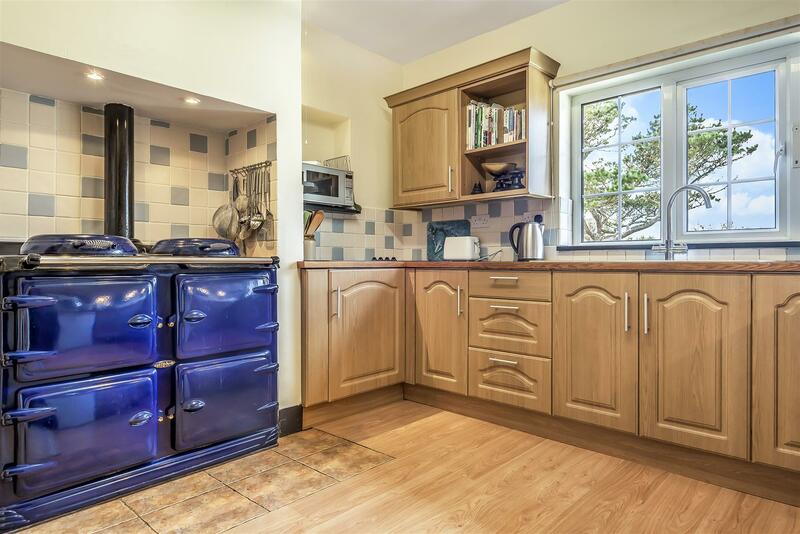 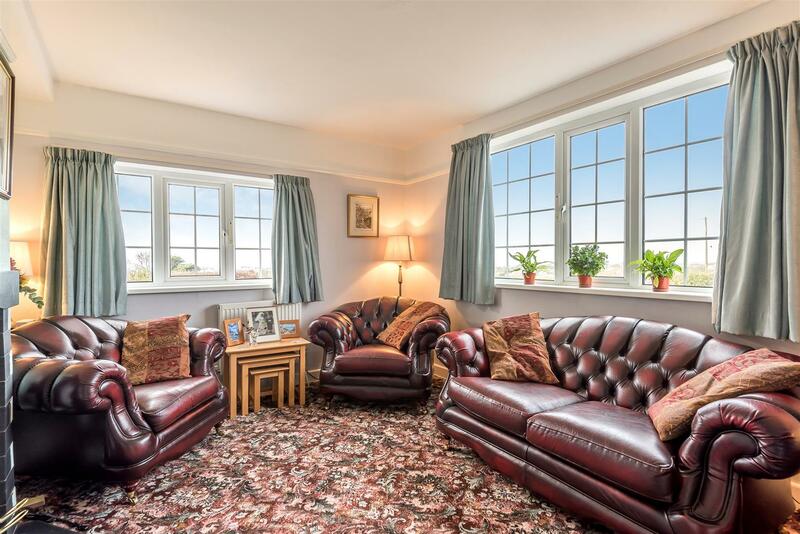 The cosy sitting room is complemented by a wood burning stove, providing the perfect place to sit and unwind, whilst the delightful kitchen continues the theme with a lovely feature range cooker. 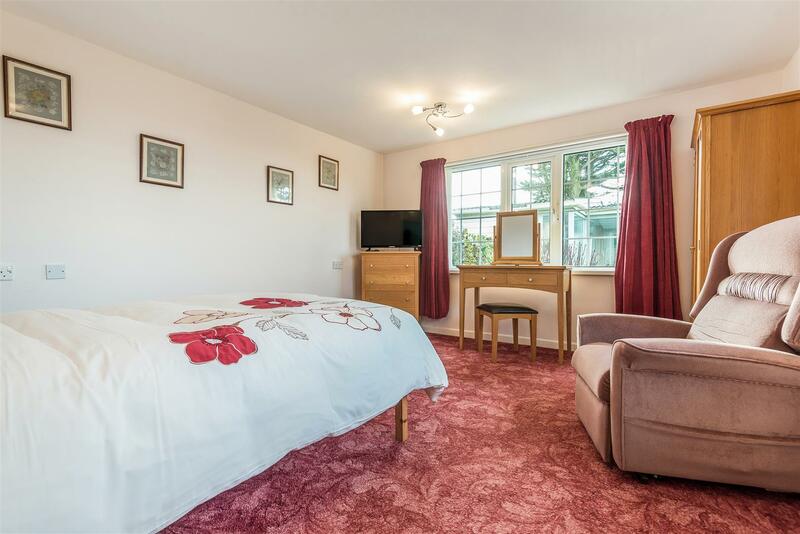 The master bedroom of the main house is accompanied by two further bedrooms and a family bathroom. 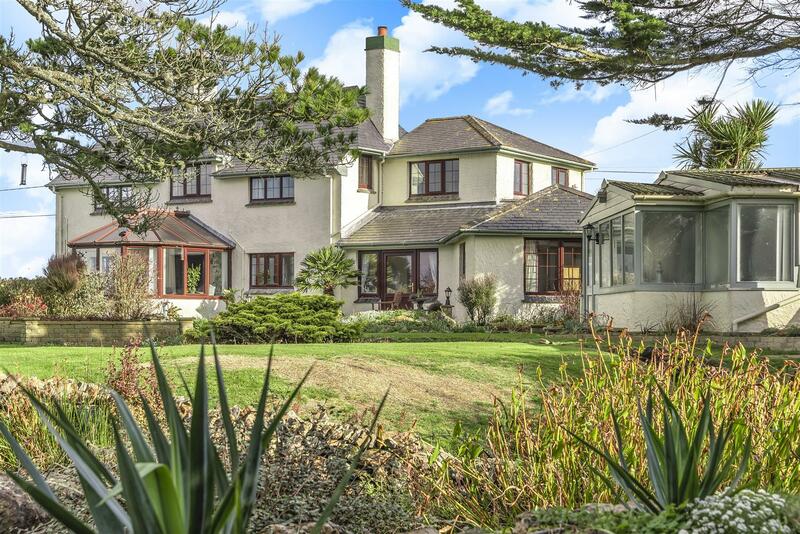 The annexe is self contained but it internally links with the house and so it could all be used as a single residence. 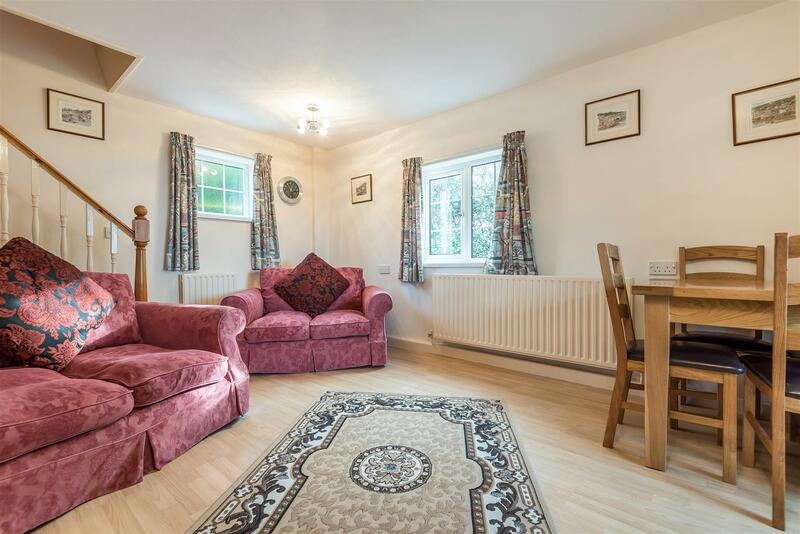 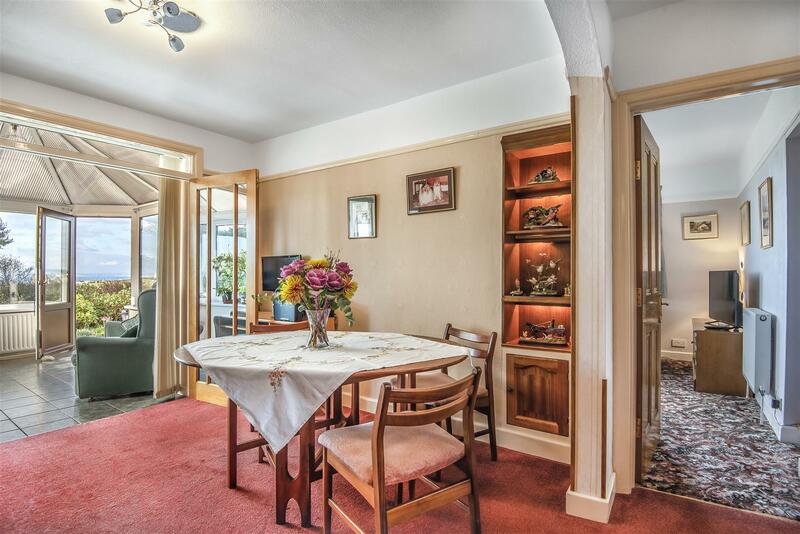 It offers a spacious layout and has been used as a holiday residence previously, so it could offer additional income or provide accommodation for a dependant relative. 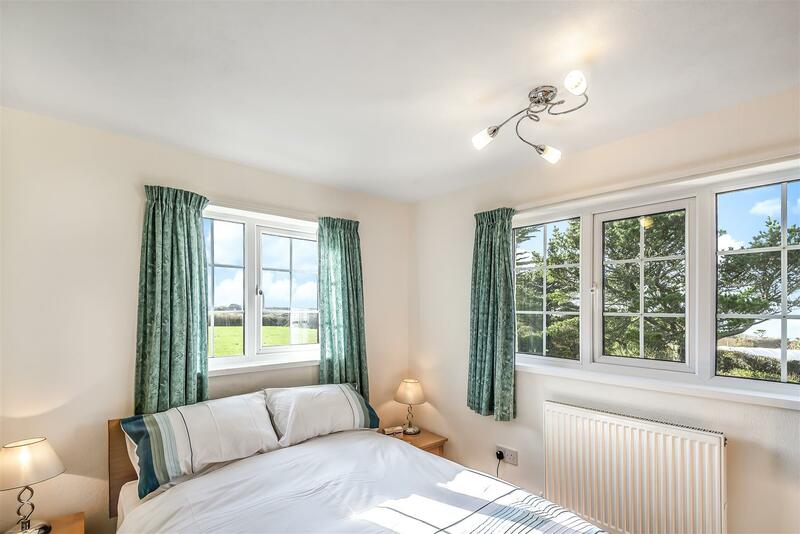 The gardens are beautifully landscaped and immaculately kept. 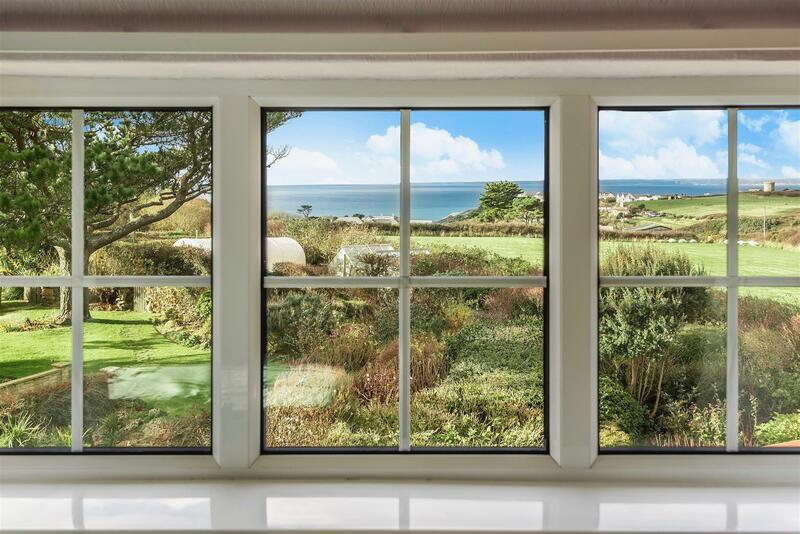 They also offer many wonderful vantage points from which to admire the views along the coast. 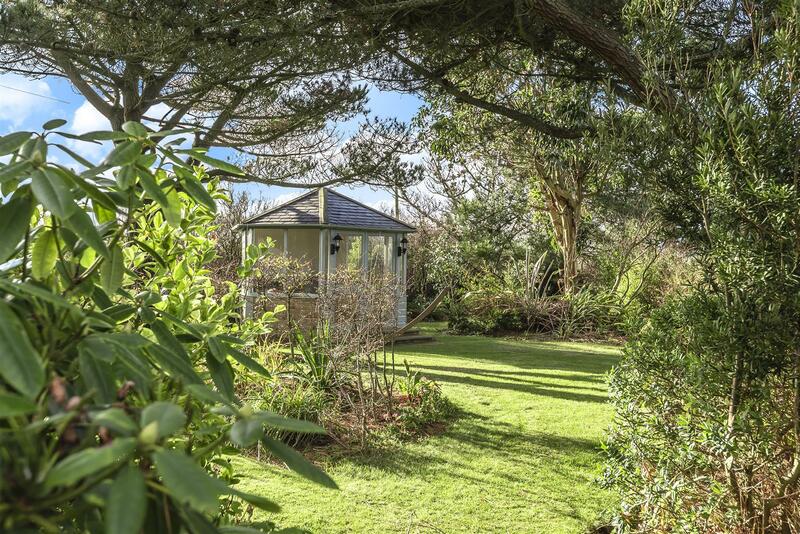 The garden is in two parts with a small lane dividing the vegetable garden area complete with storage areas, which could be ideal for further recreational use and there are also a number of ponds. 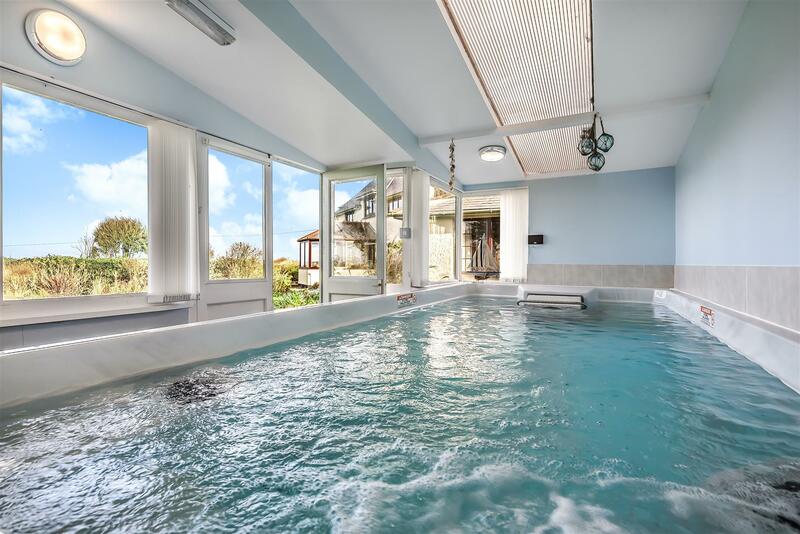 The excellent indoor heated swimming pool has swim jets for exercising and it is run from electricity; the running costs are more than offset by the 4KW Photovoltaic panels that are within the grounds. 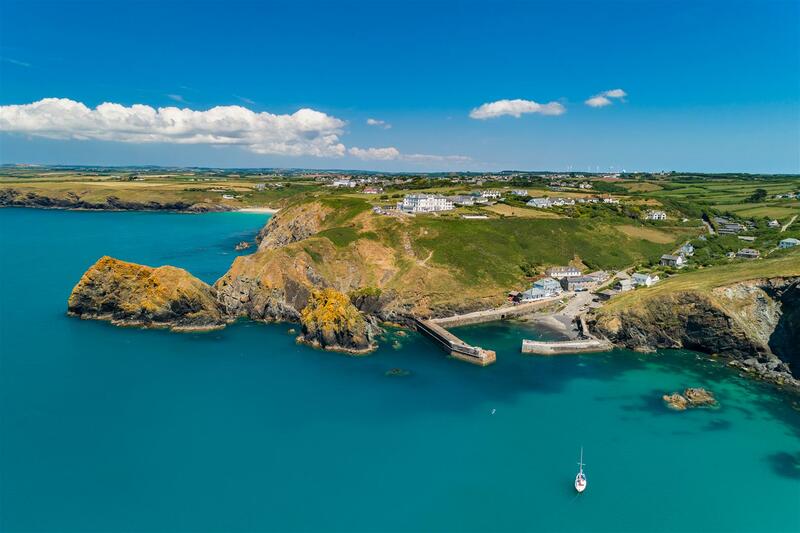 Gweath is set on a beautiful stretch of coastline, adjoining a Site of Special Scientific Interest that overlooks the stunning Mullion Cove, famous for its picturesque harbour. 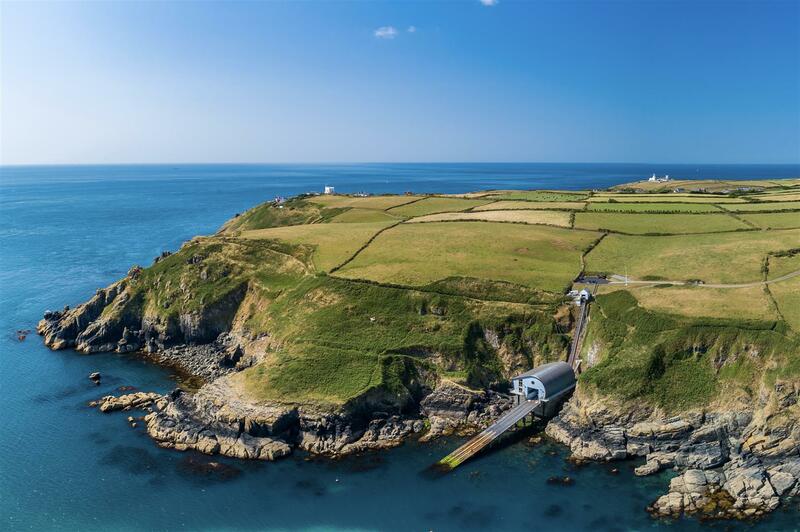 There are fabulous walks along the cliff paths heading towards Mounts Bay or towards the dramatic Rinsey Head. 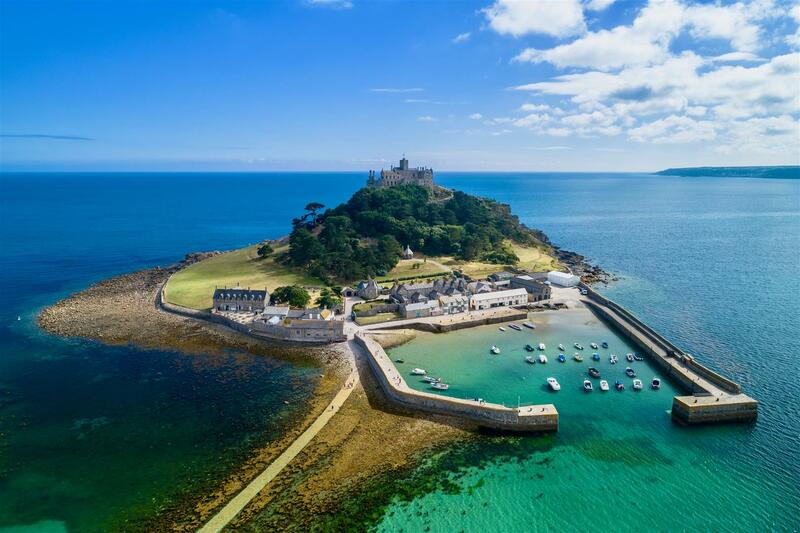 to the iconic St Michaels Mount and a little further along the coast is the wonderful village of Mousehole. 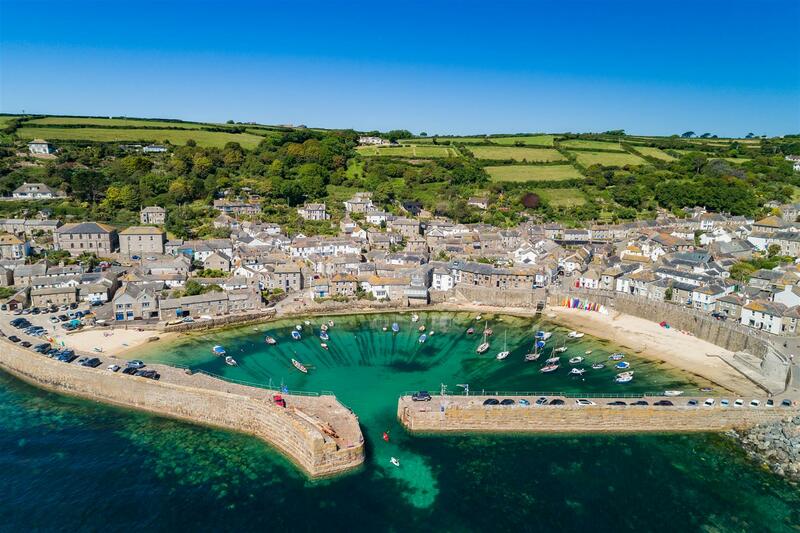 St Ives is also accessible, with its fabulous range of boutique shops and cafes.